There's something about adulthood that makes it almost impossible to catch some Zs. 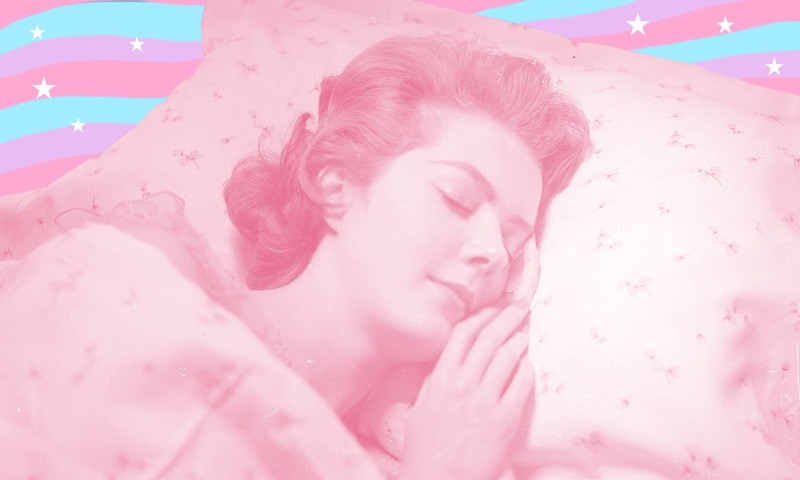 Luckily, there are plenty of great podcasts to help you sleep. Anyone that knows me will tell you I'm a big-time coffee drinker. If there was such thing as a degenerate coffee-drinker, well, you can just go ahead and just call me the Charlie Sheen of caffeine. While my vice, to an extent, could certainly be considered the lesser of all evils, it has brought about some less than stellar side effects. The biggest affliction I've faced is my inability to go to sleep at a proper hour. I wake up around six every morning, essentially zombified, drink about six cups of coffee at work, and then when it's time to go to bed at a reasonable time, it's, well, a disaster. For a while, on most nights, I'd get around four hours of sleep. Six on a good day. I tried everything—ZZZquil, melatonin, CBD, you name it. There was nothing that truly put me in a good old fashioned REM cycle. Well, that was until I found out the power of the podcast. One of my friends suggested that I try out some podcasts dedicated to sleep. I'm not necessarily a "podcast" guy, so to speak, but you know what they say—beggars can't be choosers. He gave me some of his recommendations for the best podcasts to help you sleep, and to my surprise, most of them worked. So I decided to pay it forward, and curate my own list out of his recommendations. Here's a little taste of what worked for me. Listen here, punk...you're going to love this podcast, see?! Sorry, I think I'm perpetually stuck in the voice of a 1950s noir film detective. Admittedly, that's because I've been listening to the OTR Detective podcast, and it's surprisingly really soothing. I don't know if it was even intentionally meant to be a podcast for sleep, but it works like a charm, either way. It's interesting and ends up being relaxing. If you're a fan of the HBO adaption of George R.R. Martin's fantasy series A Song of Ice and Fire, and also a fan of getting bored to the point where you're going to fall asleep, you should probably check out Game of Drones. It's literally just some dude giving you an entire playback of the latest episode of Game of Thrones in the lamest way possible. It's intentionally really boring, so you'll find yourself asleep in little to no time. The art of guided meditation is an easy way to fall asleep. It's definitely something I wish I knew a little bit earlier, but hey, better late than never. A weekly podcast, Meditation Minis is hosted by hypnotherapist Chel Hamilton, who guides you through some relaxing meditation practices. It's hard to start meditating, but Chel makes a lot easier. This one put me to bed in like 15 minutes the first time I listened to it. If you're a fan of meditation but not necessarily into the aforementioned Meditation Minis, you might want to give the Daily Meditation podcast a go. Hosted by the soothing voice of Mary Meckley, Daily Meditation is particularly helpful for those suffering from sleep-induced stress and anxiety. Out of this list, this is one of my favorite podcasts to help you sleep. It's inevitable, lack of sleep will impact a person's health. Sleep With Me has been featured in a plethora of well-known online publications like Buzzfeed and The New York Times. The podcast, hosted by Drew Ackerman, is hailed as a “Lulling, droning, boring bedtime story to distract your racing mind.” So in other words, it's so freaking boring that you fall asleep almost instantly. Works for me. Despite the waning popularity of physical publications, the New Yorker remains as relevant as ever, especially considering its move to the digital space. The New Yorker's fiction section has always drawn plenty of fans, so it's no surprise that fiction editor Deborah Treisman's podcast has taken off. Her podcast is better than putting a regular audiobook or the TV on a sleep timer. Bedtime stories have been an effective method of putting people to sleep for years, so there's no reason to believe it doesn't work in this form. If it worked for me, it will certainly work for you. Sleep Whispers is another podcast that doesn't necessarily utilize the traditional podcast format, but rather, helps listeners fall asleep with an assortment of background noises and tranquil sounds. With Sleep Whispers, you'll literally fall asleep to strange whispers. It's is designed to nurture your brain and help put it to ease at the same time. Welcome to Night Vale is definitely an interesting concept for a podcast. The bi-weekly show is presented as a pseudo-radio broadcast that is intended to serve as a news platform for the fictional town of Night Vale. It's super creepy, weird, and fun, but above all else, it's great for those looking to doze off at a reasonable hour. Miette's Bedtime Story Podcast is another great podcast for falling asleep. With a mix of adult-oriented stories and classic tales, this storytelling podcast has a formula that's tried and true for decades. Well, centuries really. Going to bed without a bedtime story is like going to bed on an empty stomach for some, so that alone qualifies Miette's as one of the best podcasts to help you sleep. Coping with sleep deprivation is no easy feat, but hopefully listening to this podcast can serve as a start. We live in a busy world where it's hard to get away from your screen. It's hard to shut out all the thoughts of work and life in general when it's time to sleep and recharge for the next day. If you really want to fall asleep fast, you can also pair these podcasts with the best natural sleep remedies to cure insomnia. Try each podcast few a few nights, see if you like it, and stick with the ones that work the best for you. We're all different and will respond a little differently, but these podcasts always put me to sleep, and that's exactly what I need.